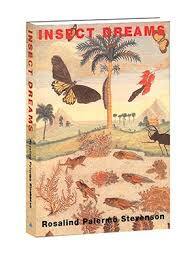 Dreams about insects are obstacle dreams and you may have some problems to deal with, some kind of a threat. You may have some feeling of insignificance or lack of power. Dreams about insects may make you feel as if you are under attack. If you like Science Fiction movies or psychological thrillers you will see that insects are used quite often as a threat and the main character has to fix that threat. If you get rid of the insects or kill them, then your troubles are easier to sort out than you think. 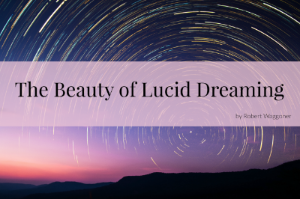 You want to remember your dreams about insects and how the bugs were treated in your dream because there is significant difference in dreams about insects. Ants: if you see them at work can mean that business matters will go well; if you see them in the house could mean an illness in the family; see ants on your food and you will be happy. Bedbugs: unpleasant news is about to arrive; kill them and things will eventually get better. Bees: hard work and success; if you get stung by one you will get into a minor situation with someone; kill a bee or see dead bees means an acquaintance or a so called friend will do you out of something; buzzing bees equal good news. Beetles: jealousy and hostility surround you; kill them and your difficulties are temporary. Butterfly: a colorful butterfly means your life will be so full you won’t know which way to turn; a dead one is a sign of danger. Caterpillars: mean jealousy and someone is out to humiliate you. Earwigs: someone doesn’t like you and wants to cause you trouble. Fleas: someone you know is being malicious or gossiping; get rid of the fleas, get rid of the backstabber. Flies: jealousy in your life; get rid of them, get rid of trouble makers. Gnats: troubles from jealous friends; get rid of them and troubles go away. Mantis: something devious within your life. Mosquitoes: flying high above means good fortune; bite you and you are jealous of someone; hear them buzzing and you’re the subject of gossip. Moths: try and catch it means someone is jealous of you; kill one and you will outwit your rivals; moth holes in material/clothing there will be sadness in the family. Roaches: need to reevaluate a major part of your life, and need some self cleaning. Spiders: are good luck; kill one and good news is coming; see it spinning and money is on the way; climbing a wall and the things that matter the most will go well; spider in a web means someone close to you is using you and you feel trapped. Wasp: is danger; a relationship is holding you back, time to break it off. Worms: warn of illness; if used as bait is a sign of material gain; kill them and your efforts will be successful.